Corrugated Plastic Sign Material is 24 inches wide x 18 inches tall: 4mm (approximately 3/16'') thick corrugated plastic with flutes 18 inches tall. This is the Sign Industry Standard for plastic yard signs. Available in White or Yellow yard sign material. 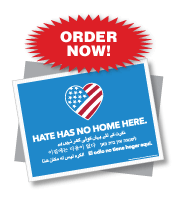 Minimum order quantity is 10 pieces of blank yard signs. 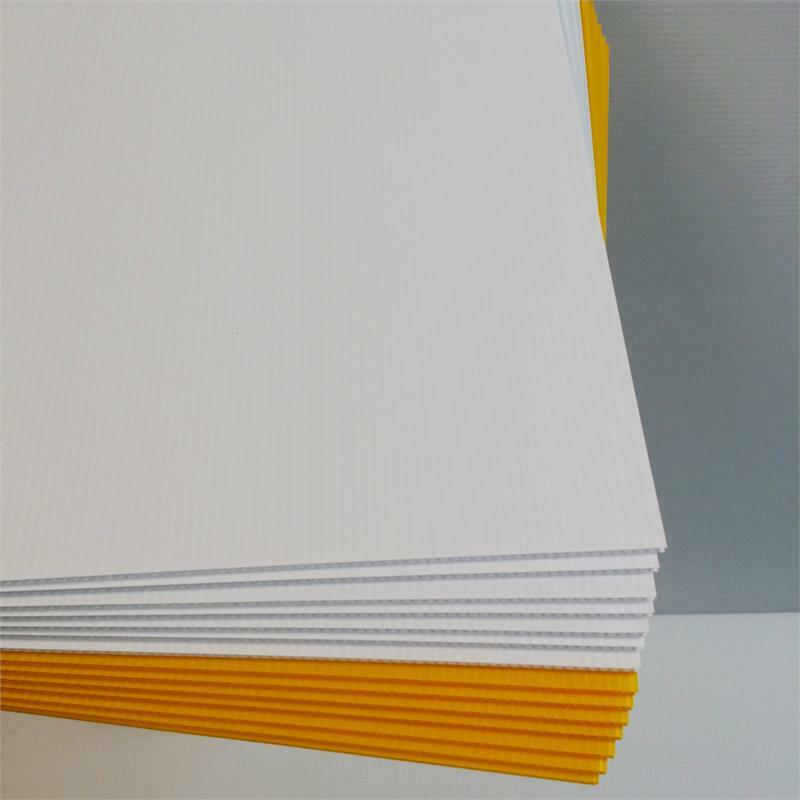 Need your 24'' x 18'' corrugated plastic sign material printed? Let us do it for you. 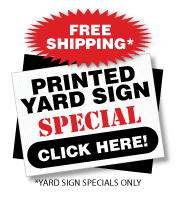 We have dirt cheap yard sign prices. We are the factory! 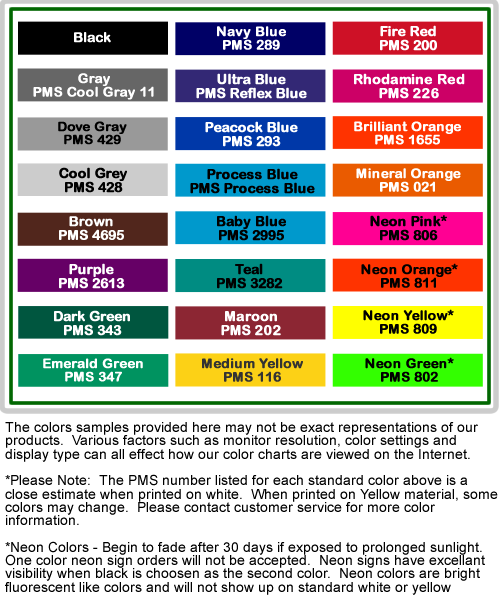 Check out our low prices on screen printed signs. Corrugated Plastic Sign Blanks 18 inches wide x 24 inches tall: 4mm (approximately 3/16'') thick corrugated plastic with flutes 24 inches tall. Available in White or Yellow. Corrugated Plastic Yard Sign Blanks 24 inches wide x 18 inches tall: 4mm (approximately 3/16'') thick corrugated plastic with flutes 18 inches tall. Available as White or Yellow Yard Signs. Corrugated Plastic Sign Blanks 24 inches wide x 24 inches tall: 4mm (approximately 3/16'') thick corrugated plastic with flutes 24 inches tall. Available in White Coroplast. 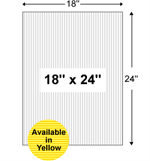 Weather resistant poster board sign blanks 28 inches wide x 22 inches tall: Poster boards are available in white only. 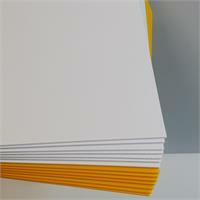 24 point 6 ply poly coated poster board. Yellow Corrugated Plastic Sign Blanks 18 inches wide x 24 inches tall: 4mm (approximately 3/16'') thick corrugated plastic with flutes 24 inches tall. Available in White or Yellow. Yellow Corrugated Plastic Sign Blanks 18 inches wide x 12 inches tall: 4mm (approximately 3/16'') thick corrugated plastic with flutes 12 inches tall. Available in White or Yellow Coroplast.